Hi, I`m Kosuke Sato. Please call me “Ko”. 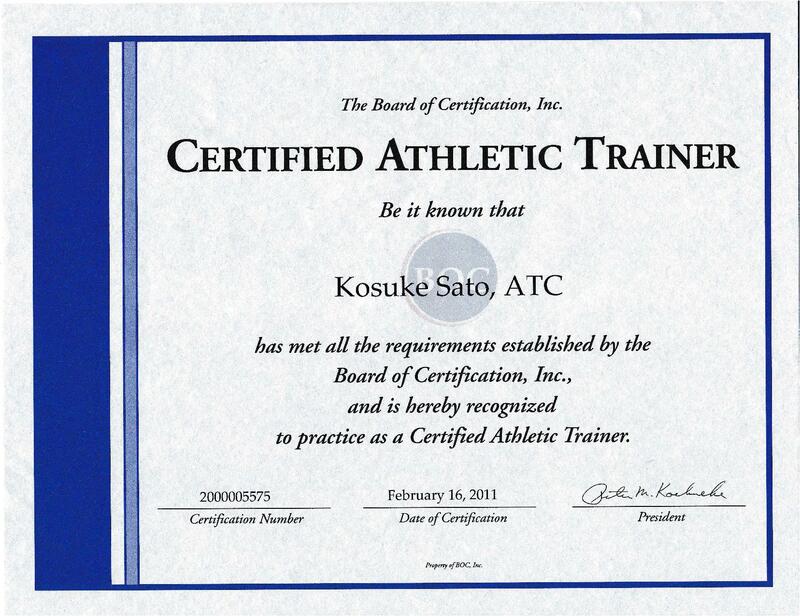 I studied athletic training (sports medicine) in San Jose State University in California, and am a certified NATA athletic trainer. I worked for several sports teams in America including San Francisco Giants in 2010. I have traveled over 34 countries for one and half year to study other countries` traditional and holistic medicine: Thai Massage in Thailand , Ayurvedic Medicine in Sri Lanka, Traditional Chinese Medicine in China, Jikiden-Reiki in Germany, Vipassana Meditation in India, and Rolfing in South Africa and America. I now work in Shinjuku, Tokyo, offering Rolfing sessions by integrating with other traditional and holistic medicinal skills I have learned. – San Jose State University majoring in Athletic Training, BS.